As millennials who are wise regarding money matters, we have a lot of goals in mind as we graduate from school, get started with our careers, and think about what we want our finances to look like in the coming years. One financial consideration that often gets pushed to the periphery is life insurance. There’s some truth to that. You may not be bringing home the bacon for anyone besides yourself right now. Thus, no one’s going to starve if you die and they no longer have your income. However, you should give life insurance some consideration now rather than later — specifically term life insurance. We’ll quickly cover how term policies work before we examine the reasons why you should get one now rather than later. Term life insurance provides coverage for a specific number of years, usually between 10 and 30 years. There are different variations of them, but the underlying principle is the same across the board: for a specific term (period of time), premium payments are made and coverage is given. Imagine term life insurance like a section of time in your overall lifespan. During that time, if you pass away, your family or other beneficiaries will receive a sum of money from the life insurance company. After it ends though (based on your term length), there are no more premiums to be paid and no more coverage offered. No One Will Miss Your Money When You’re Gone? Think Again! But we’re young and free and we have enough monthly bills to worry about, why add another? Ask yourself this: Do you have any financial obligations that you would leave behind if you died today? Chances are, someone cares about you enough to hold a funeral for you — an average funeral today costs between $6,000 and $10,000. Do you owe anybody money? Maybe you have kind parents who paid for your very expensive college education and you had hoped to repay them to some extent. Well, there’s only one way to do that if you pass away: life insurance. Even if you truly have no need for life insurance just yet, you probably will in the near future. Getting married in the coming years? Having a child? Embarking on a business venture with your best friend? Buying a home? These are all landmark events that should have you looking into life insurance. The younger you are, the more insurable you are and thus the lower your premium payments will be. Combine this with the fact that many life insurance companies offer “locked-in” level-premium rates for the life of the policy, and it’s easy to see why buying now is cheaper than buying later. 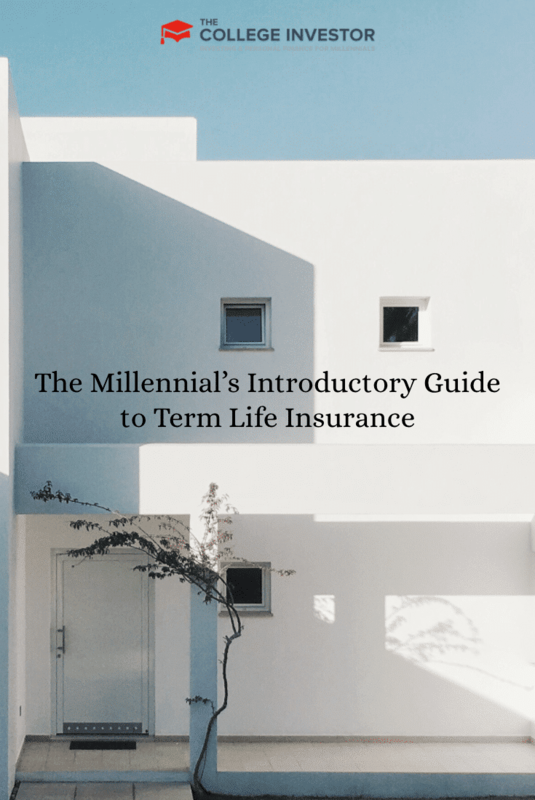 Also, signing up for term life insurance earlier can allow you to waive future medical examinations if you want to extend your policy when the term ends. Many people find themselves needing to extend their term policies when they expire, but body weight, health, and habits 20 years down the road could give rise to an increased premium when trying to renew. But that’s only if your contract stipulates that you must undergo a medical examination in order to extend your term. This can be circumvented by buying term life insurance in your prime and negotiating it into your contract. Then if you need more coverage at the end of the term, your premiums will either remain the same or only increase relative to your age rather than other factors that might inflate them. For a 20-year term policy with a face value of $500,000, a healthy 20-year-old male would only pay between $30 and $35 per month. At age 35, healthy females would pay around $40 per month for the same policy. In consideration of how helpful a $500,000 death benefit would be if needed, such monthly premiums are very reasonable rates for younger people to work into their budgets. While life insurance may not seem like a top priority at this time in your life, it will be a crucial part of your financial life at some point. Life insurance helps protect everything that makes years of hard work worthwhile — your loved ones who depend on you. Getting started with a term life insurance policy is very manageable and it can save you money in the long run. Life moves fast and before you know it you’ll have a family and lifestyle you want to protect. You’ll be glad you got a head start. If you’re looking for a place to start with life insurance, check out Sureify — you can learn about your life insurance options, estimate your coverage needs, compare policy types, and download your free, personalized PDF plan. Jacob Ruiz is a graduate of UCLA and is the Content Manager at Sureify. 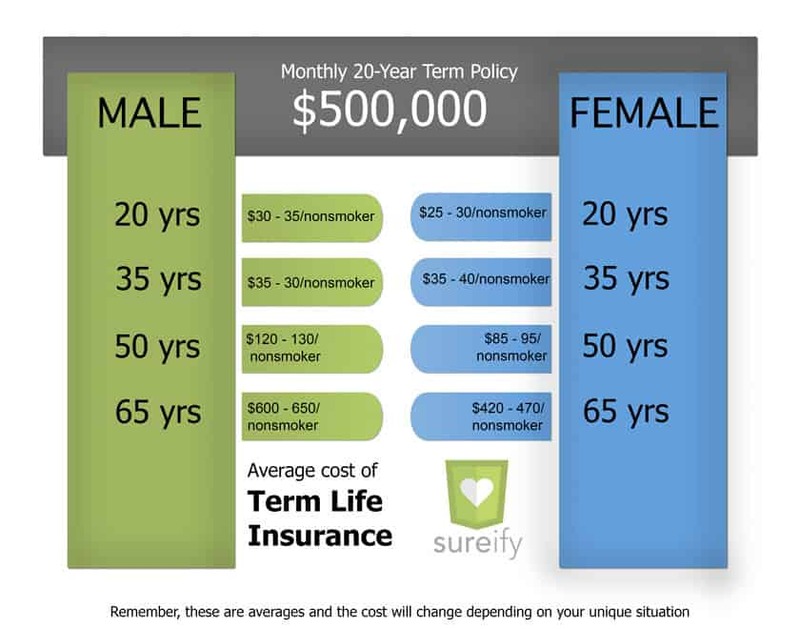 Sureify is a life insurance education platform for millennials where consumers can learn about their life insurance options, estimate their coverage needs, compare policy types, and download their free, personalized life insurance plan so that they’re equipped to buy with confidence. 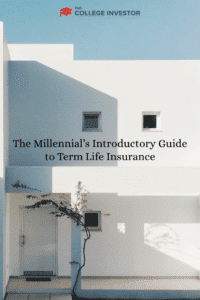 Term life insurance offers young people the most life insurance protection at the lowest cost. It’s important to understand that term life may offer you the option to convert your life insurance plan into a permanent life insurance policy by some future date stipulated in your term life policy. This allows you the flexibility of changing your life insurance as your needs change over time. Also, level term life insurance provides you with guaranteed level rates and coverage amounts for a period of 10, 15, 20 or 30 years.